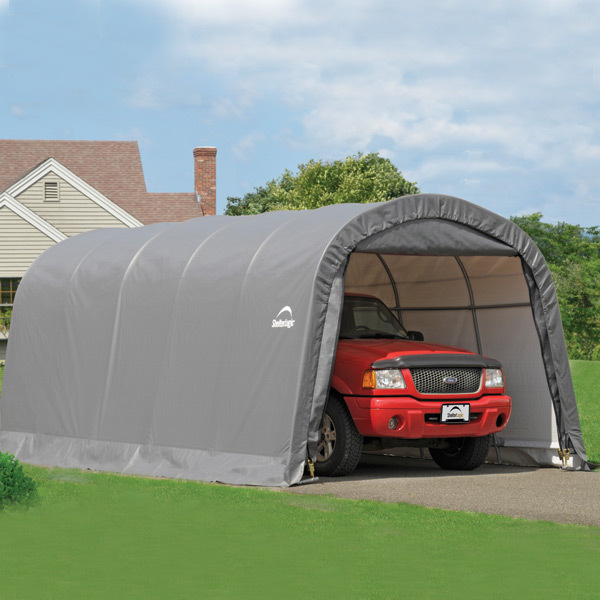 This portable and temporary shelter is so quick and easy to set up it is called "garage in a box". 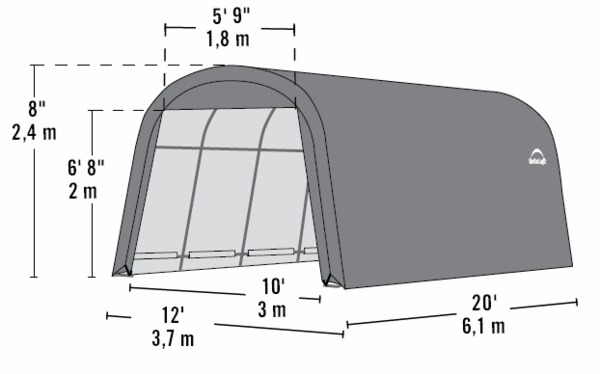 This shelter measures a roomy 12 feet by 20 feet by 8 feet. The sturdy frame of this shelter features 1 3/8 inch tubular steel. The steel is coated with baked on powder to prevent rust and corrosion. The polyethylene cover is ratcheted for a tight fit. The cover is a woven fabric that reinforced at vulnerable spots. Does this always remain open ended as in the picture or is there a tarp to close the end? The unit has a zippered door to close it off. Easy to put up an appears to be well built.